Ideas that are truly “good for the customer and good for the business” are far and few between. Messaging is one of those rare examples. If implemented correctly, messaging can create a markedly more convenient, more satisfying experience for customers. It can also reduce costs and drive revenue for the business. “If implemented correctly” is the key. It is also the focus of our new Special Report: Messaging. 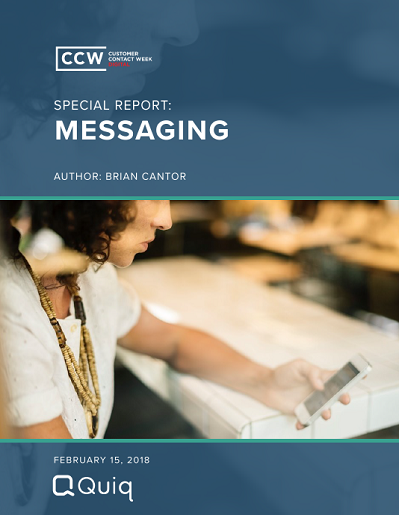 Our report reveals pitfalls you must avoid and challenges you must overcome in order to avoid the unlock the true power of customer messaging.